There seems to be alot there isn’t there? Yeah, just because I have found many things that work for me I want to use it all! So let’s talk about the products there will be reviews later but just a general overview of them all. 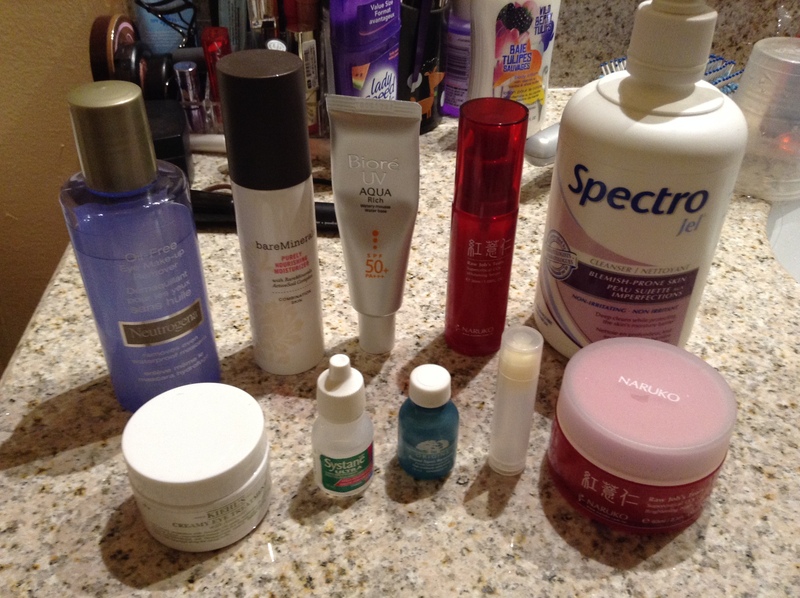 This skincare takes me about 7-10 minutes to do every morning depending if I’m going really fast or not. 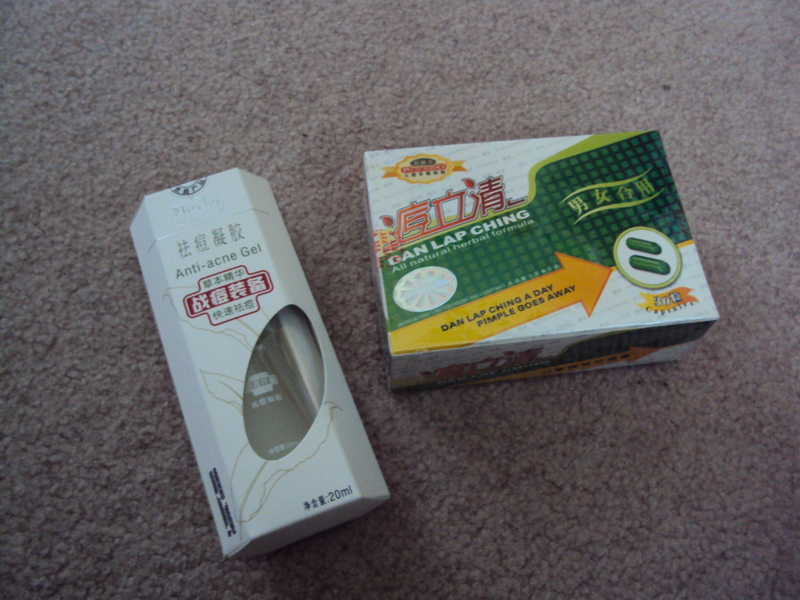 The time has upped since the last skincare one… >.< but these work really well! 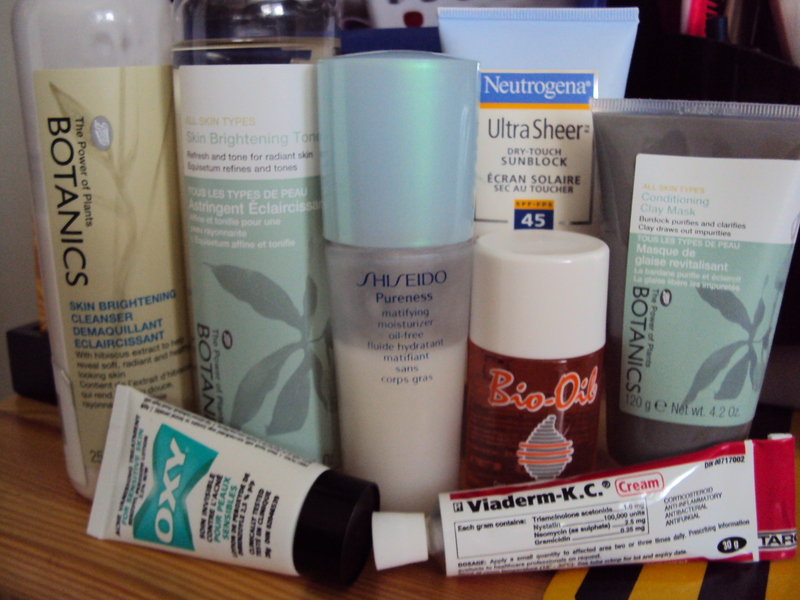 Putting aside the skincare regime I want to focus on the Treatment aspect of my routine. As you can see I have 3 different types of stuff compared to last time where I just had Lush’s Grease Lightning as a spot treatment and disinfectant. Since the Grease Lightning review I’ve used it up and moved onto find something new resulting in Oxy and Viaderm. Now Viaderm is only available through your pharmacist and what is does is that it treats rashes that have been infected with either bacteria or fungi. I know what you’re thinking rash treatment on acne? No way is that going to work. Well to be honest with you I was sceptical at first but it has helped out with the amount of breakout moments that I have. Now I have a clear forehead to the point where it absolutely scares me. My sister likes to use Oxy on her acne and it’s been working pretty well for her. And as for the Bio-oil I’ve still got like 2 months and 3 weeks left to see if it actually works or not. Whew, long post… thanks for those who actually read through all of it. Tags: 2 months, 2.5%, 3 weeks, 7-10 minutes, acne breakouts, availability, band kids, benzoyl peroxide, bio-oil, Blog, boots, boots botanics, brightening, camera gone, cleanser, clear forehead, disinfectant, exams, flawless skin, grease lightning, joyride, long post, LUSH, mattifying moisterizer, Oxy, perfect, pharmacist, postage, products, rash treatment, regine, shiseido, sister, skincare, spot treatment, testing, toner, treatments, update, vancouver, viaderm-K.C. So this is my first review on this blog and I will be doing more of these reviews after I’ve spent a good amount of time on the products. There will mainly be beauty products like mascara, foundation, powders, blushes, and skincare items and sometimes maybe a home product like candles or bath items. 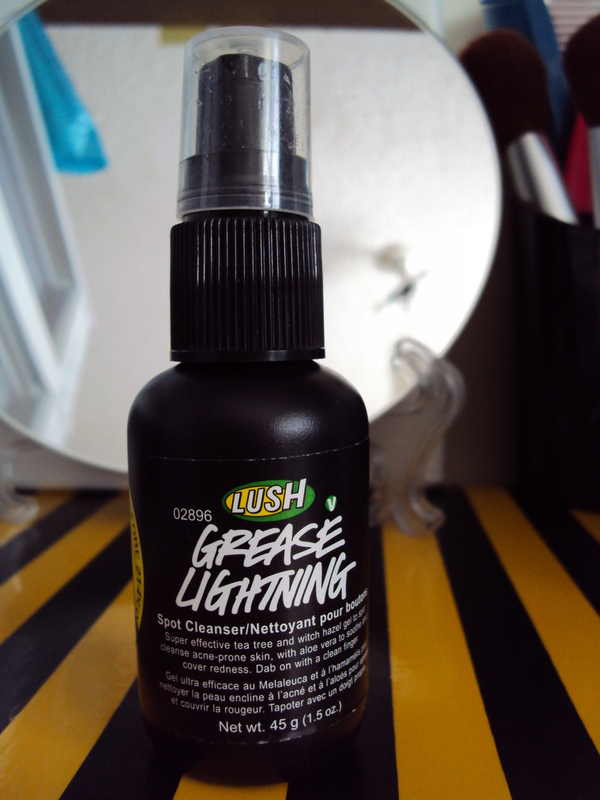 This is a review on LUSH Grease Lightning Acne Spot Treatment gel. Just as a background I have oily/combination skin that is very acne-prone so I thought that this product would work best for me as a spot treatment. Review: I mentioned this product in one of my earlier post as a good go to natural alternative to the harsh acne spot treatments on the market. When I first tried it I noticed a difference in my skin and it was great but after about 2 weeks the product began to not really have an effect on my skin. I don’t know if it was my skin getting used to the product but now the product does nothing for my skin. Would I recommend this product? I would not recommend this product for people who have mild acne like me but for those who have severe or even cystic acne it will help a reduce a lot of the redness.